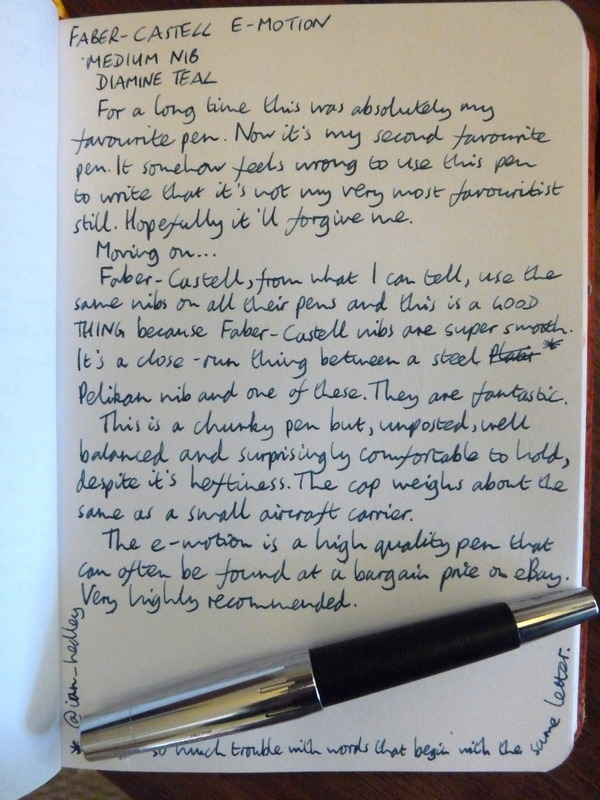 Faber-Castell e-motion fountain pen review – Pens! Paper! Pencils! 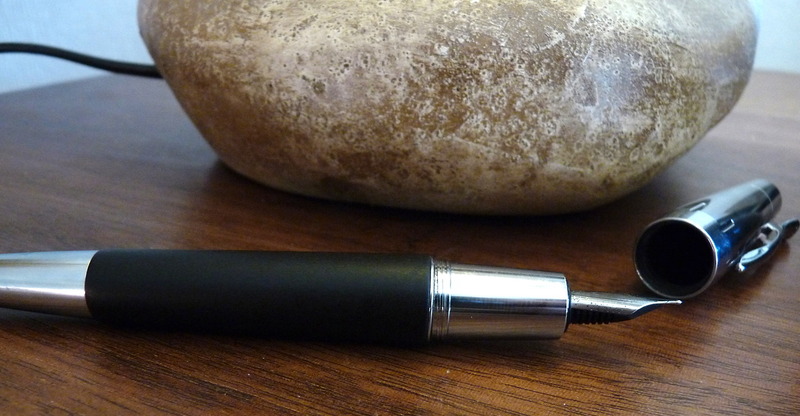 Until I spent rather a lot of money on a Platinum #3776 Sai, this was my favourite pen. It is wonderful in so many ways. I love the shape. 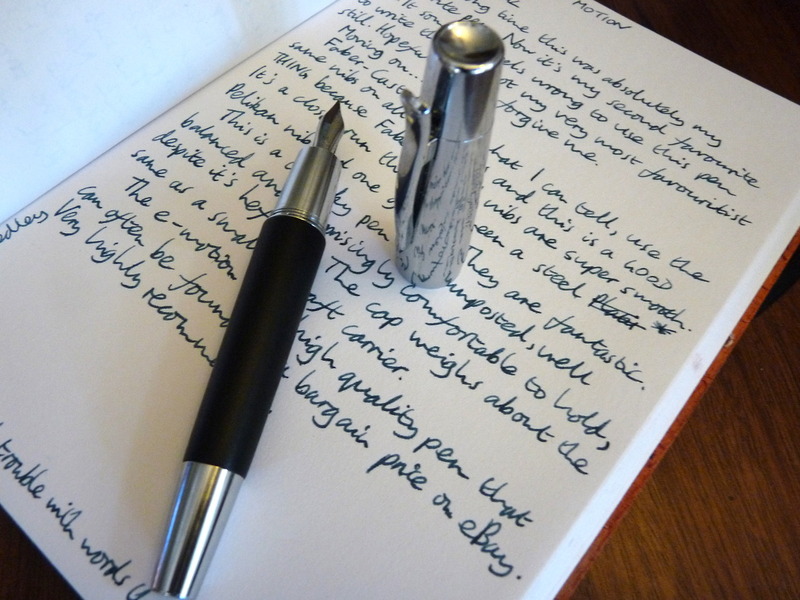 It doesn’t look as if you ought to be able to write with it for more than a few minutes but it’s actually very comfortable to hold and use. It has a good balance and a reassuring weight to it. (Having said that, the cap is very heavy and best not posted.) This pen is the black pearwood model and therefore feels great to hold. I’ve got a white rhombus one too, which looks great but isn’t quite me. There are many other variations you can buy and, although this pen is good value bought new, they can often be found at a good price on eBay. Both mine came from there. 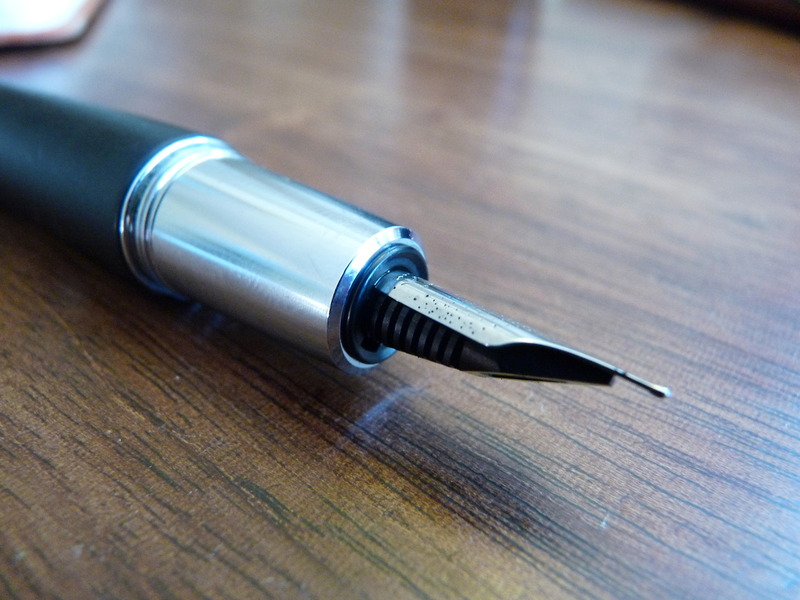 I’m pretty sure Faber-Castell use the same nibs in all their fountain pens. 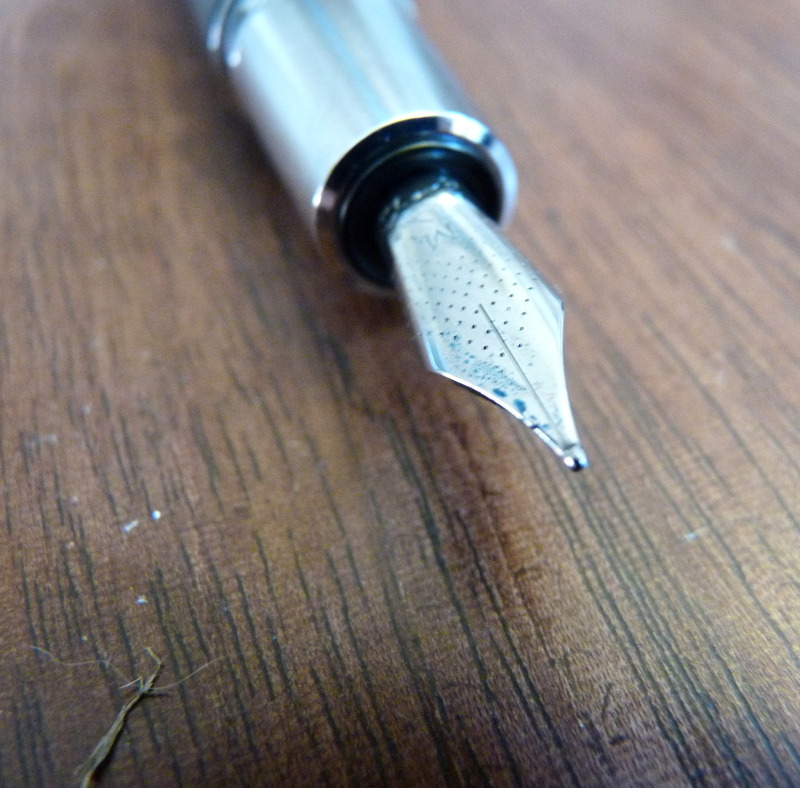 On the top of the range pens, like this one, they represent amazing value. They are as smooth as anything you’ll find anywhere else. 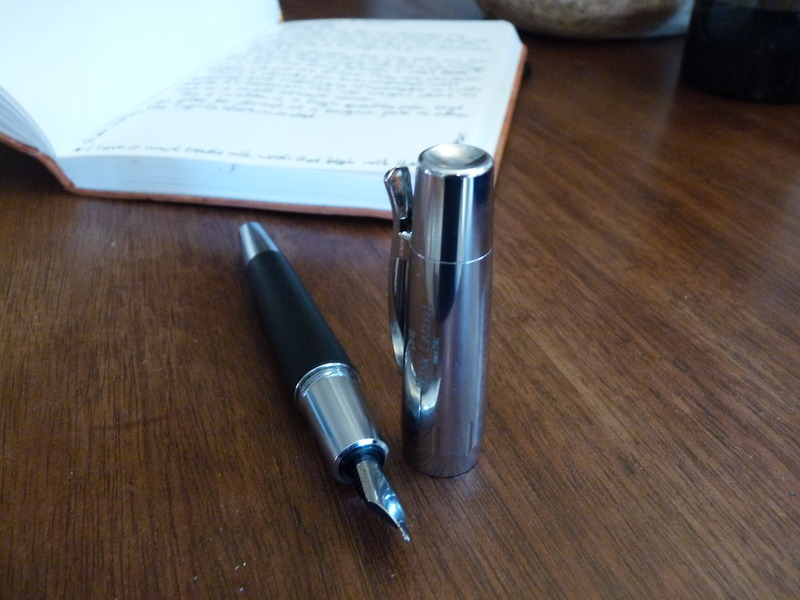 The only steel nibbed pen I’ve found that’s come close has been my Pelikan. I’ve three medium Faber-Castell nibs and one extra-fine and they are all equally fantastic. So these nibs are great value on these more expensive fountain pens but you can also find them on the much cheaper Basic range. I cannot praise this pen enough. PS It’s not Teal ink it’s Twilight. I would be fine if I only had to deal with words that began with the same letter. It might be a little limiting but I would get significantly less confused.